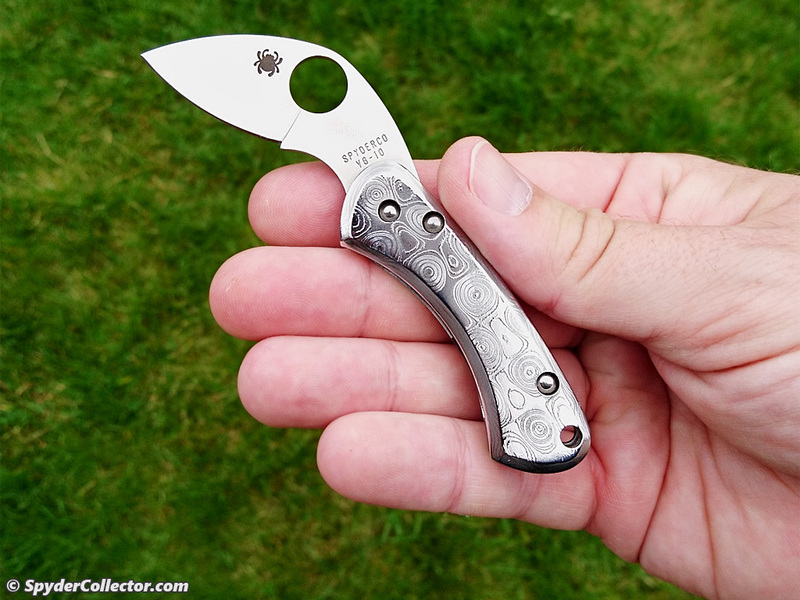 A few years ago, I got a very nice little folder from knife maker and frequent Spyderco collaborator Ed Schempp; a Balance. It wasn’t just any Balance, it featured some Damascus customization, but with a twist. You see, Ed didn’t replace the standard VG-10 blade with a Damascus blade. No, he replaced a handle scale with one custom made from Devin Thomas stainless Damascus. It’s a slightly thicker steel than the very thin factory handle scales. And it helps to get a better grip on an already ergonomically designed knife. 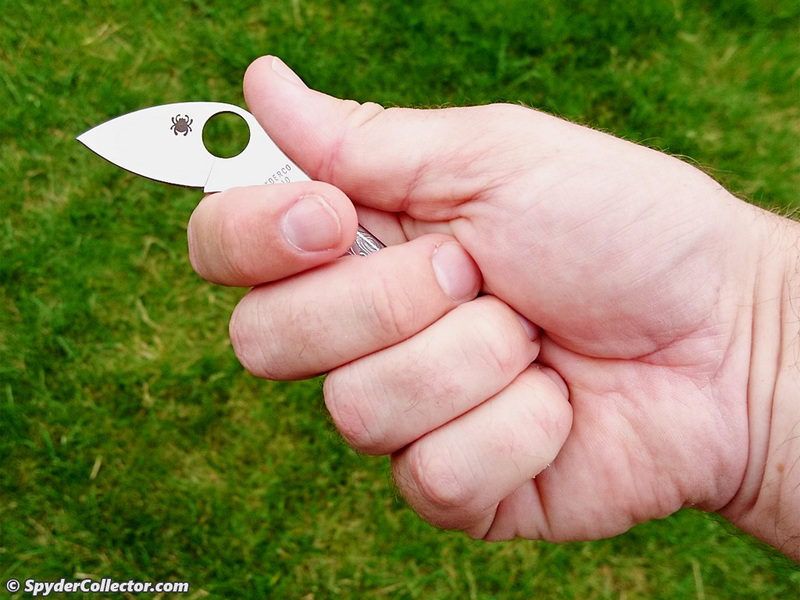 The Balance was, in my opinion, the folder for people asking Spyderco to make a small ladybug-type folder with a clip. The regular production version is light, flat and small enough to actually carry on your lapel. The customized Balance, as well as the carbon fiber version, have been in my carry rotation for quite some time now, and they still get a turn every once in a while. They make an especially great carry companion while wearing a suit. Click here to see Ed discussing the design of both the Balance and the Equilibrium, and here for Eric’s presentation of the Balance. Back in 2010, I got to shoot some photos of the prototype Carbon Fiber Balance and in 2011 the prototype Balance in stainless steel.